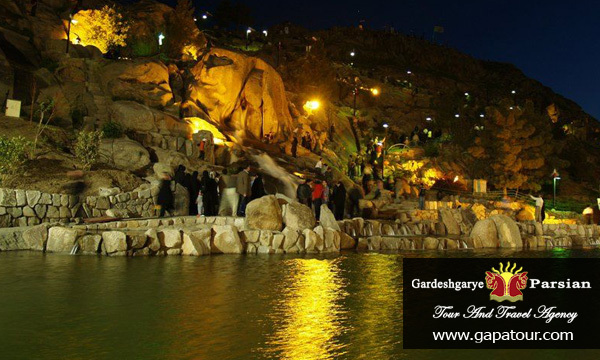 Transfer to MASHAD airport and flight to RASHT, north’s of Iran ( green belt and paradise area ) after arrival transfer to hotel and checkin. 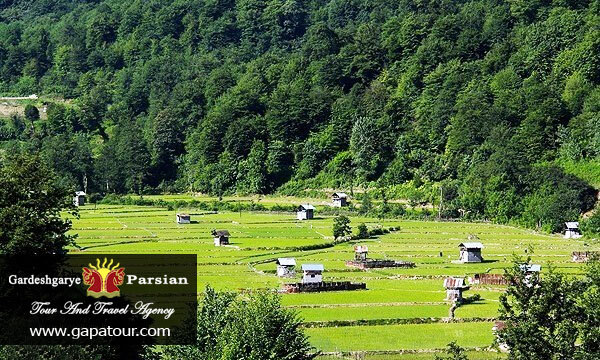 RASHT : Rasht was first mentioned in historical documents in 682 CE, but it is certainly older than this. It has seen the Sassanid era, the armies of Peter the Greatand later Russian rulers, and British colonialism. 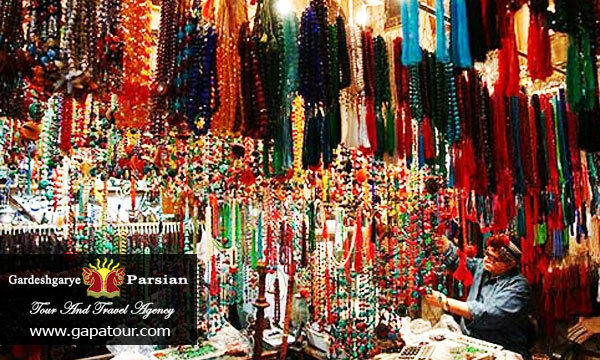 The name Rasht comes most plausibly from the verbreshtan, weaving. 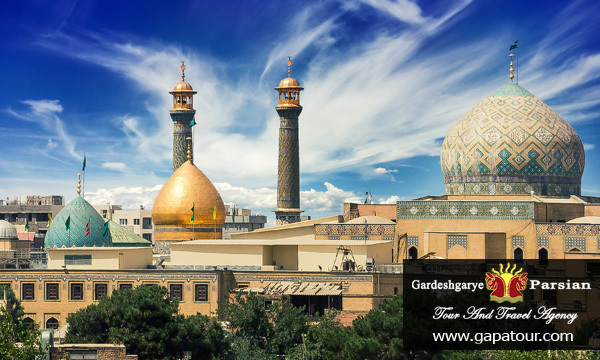 Rasht has, along with regions around Tabriz and Tehran, one of the earliest industry plants during the last quarter of the 19th century, prominently in fields such as fishing, caviar production, the Caspian sea oil pipeline construction and textiles. 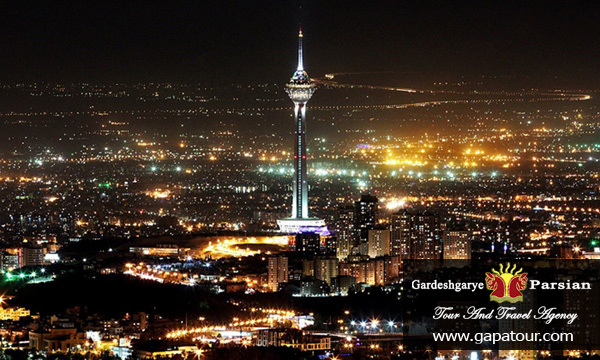 During the 20th century, until the mid-70s, Gilan and the Rasht region was the third-ranking industrial city in Iran by number of workers and per capital productivity. It lost its cultural and industrial status to a large extent after the 1970s. 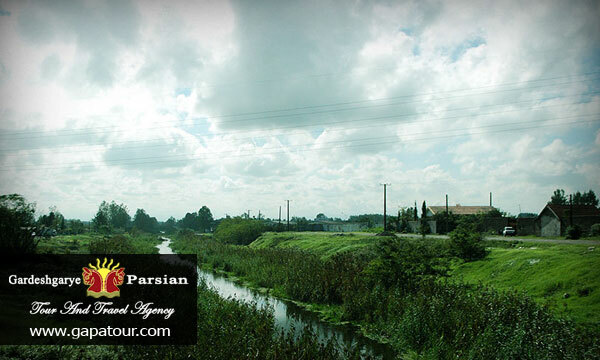 ANZALI : Anzali is an old city in ancient Iran, they are related toKadusin, owing to their pleasant relationship with Cyprus and their cooperation in battles, they changed their name to Anzan (Anshan-e Pars), which Greeks called Anzaluy. This word In Pahlavi language means Anzalag and the Arabic form of it is Anzalaj. 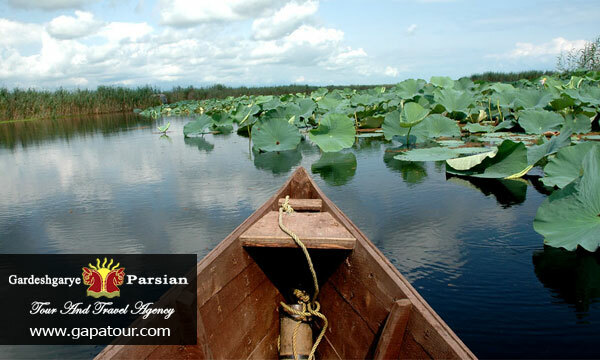 Anzali Gulf was a safe harbour for trade ships and fishing boats. 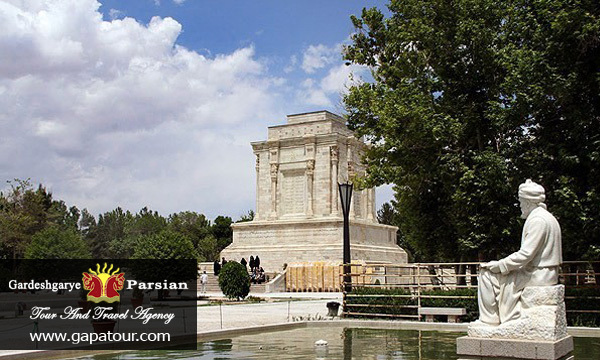 It was renamed to Pahlavi in 1935. Bandar-e Anzali is a center ofcaviarproduction. The preparation and marketing of which is a state monopoly, handled throughThe Iranian Fishing Companyunder the control of the Finance Ministry. The public is not admitted to the immense refrigerated hangars where tons of sturgeons, some as large as 3 meters long and weighing 100 kilograms, are stored after the removal of the caviar, usually equivalent to about one tenth of their weight. starting the tour with very nice area enjoy and have time for caspian sea beach and city tour, visit very beautiful national park ( BOJAGH PARK ) with wonderfull view and very nice weather: beautiful and important park for living and immigration of different kind of water fowl birds such as duck, flamingo, siberian crane and… the area is surrounded by sea in one side and dry lands in other side and you can see beauty white of river.after that continuing with Old and famous museum of RASHT. After breakfast starting the tour. 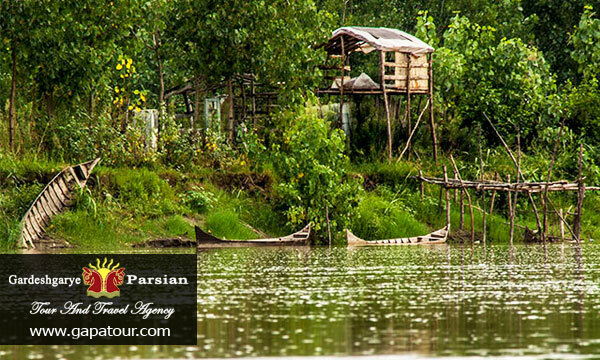 Lahijan : Lahijan enjoys a climate known as “moderate Caspian”. 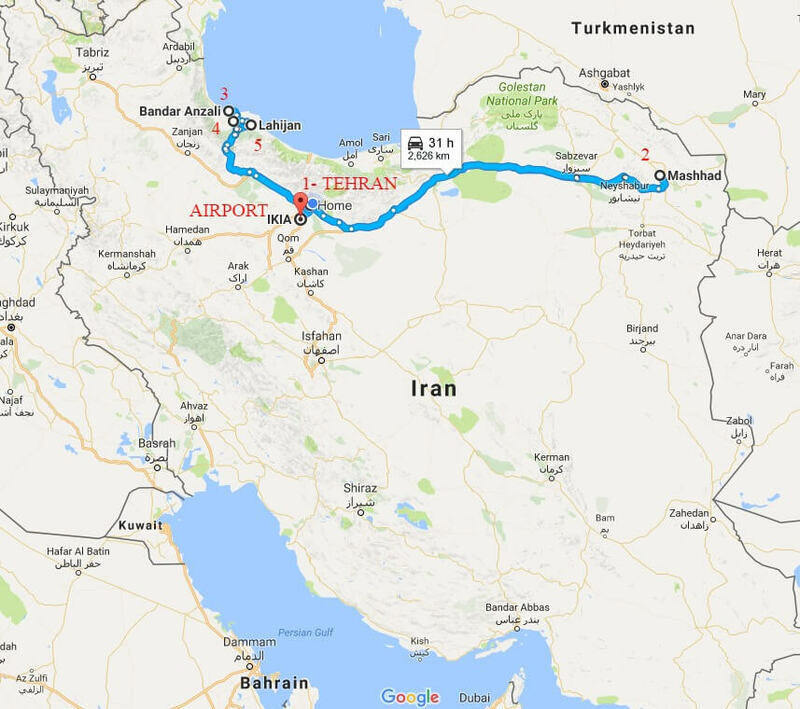 This weather pattern emerged from the influence of the currents of both the Alborz Mountain slopes and the Caspian Sea. But before knowing about this weather pattern, we should discuss the model of climate system and of course Gilan’s spacial geo system. 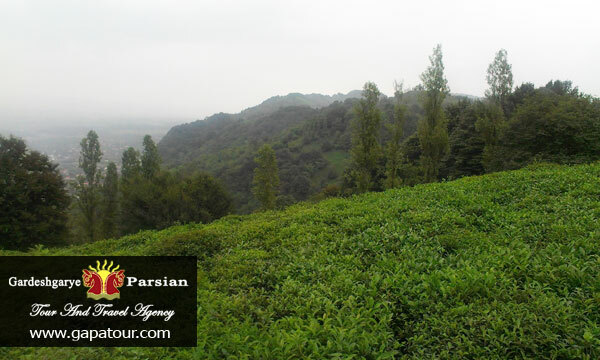 The history of tea culture in Iran started at the end of the 15th century. Before that coffee was the main beverage in Iran. However, most of the coffee producing countries were located far from Iran, making shipping very difficult. With a major tea producing country, China, located on a nearby trading path, “thesilk road”, and the shipping of tea was much easier. That was a main reason why tea became much popular in Iran. As a result, the demand for tea grew, and more tea needed to be imported to match Iran’s consumption. 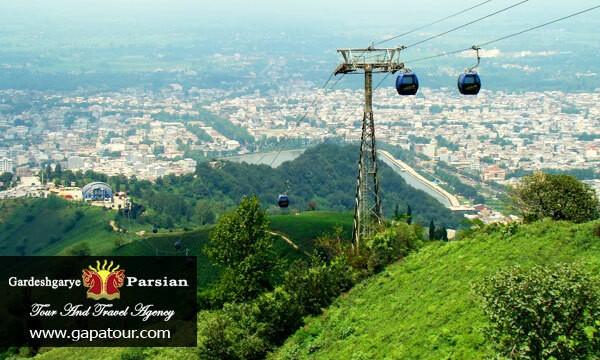 Start the tour with beautiful tea farms, enjoy with cable car and experience very nice views from mountain, sea whole of city and and jungles with cabel car, then visit Rudkhan castle Located 25 km southwest of Foman city north of Iran inGilan province, it is amilitarycomplex which had been constructed during theSasanianera (224-651), and later rebuilt during theSeljuqera by followers of theIsmā’īlīsect. The castle is built on two tips of a mount, with an area of 2.6 hectares (6.4 acres). 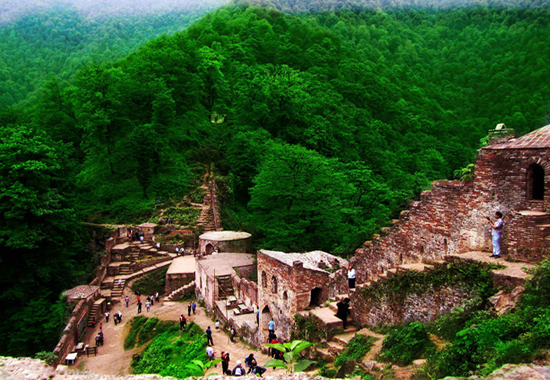 Its architects have benefited from natural mountainous features in the construction of the fort.